Fabric Affair is an event retailer, operating a number of shows across Europe, Ireland and the United Kingdom. We specialize in selling artisan woven Donegal tweed to crafters and quilters. 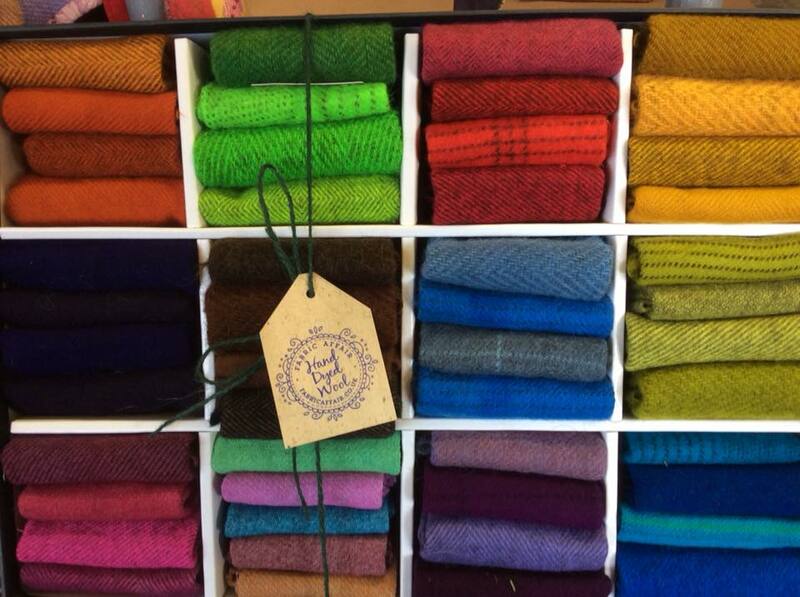 We are proud to be associated with M'c Nutts of Donegal, producing and selling beautiful Donegal tweed. Fabric Affair operates an Online store, retailing the finest Donegal tweed, patterns, merchandise and collections. On Friday April 12th-14th, Fabric Affair will be exhibiting a wide variety of tweed and quilting supplies at the Uttoxeter Quilt Show. 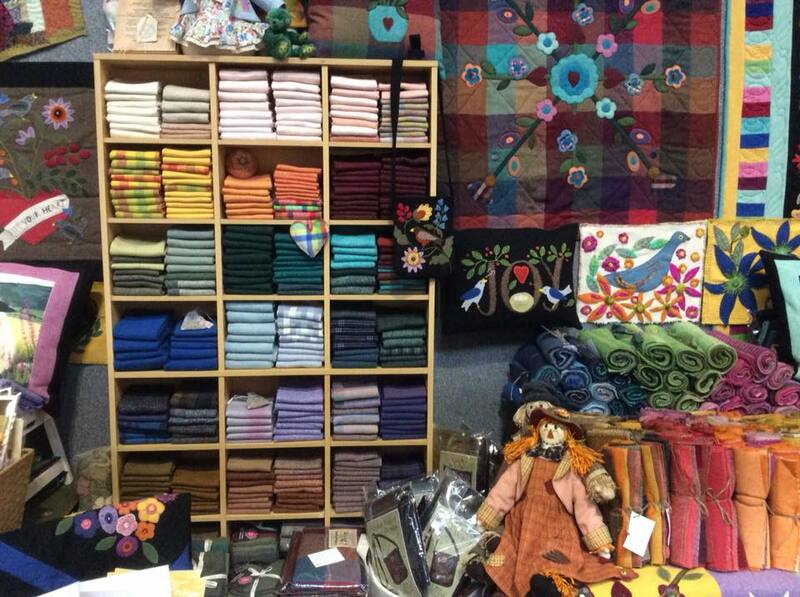 Please view our stand for all your tweed, craft and quilting supplies. On Wednesday 12th March 2019, 11am and 3pm respectively, Fabric affair will be appearing on Hochanda Tv . During the show I will be demonstrating a wide variety of our Donegal tweed, patterns, quilts and kits to crafters and quilters worldwide. Please take the opportunity to view the link above for further details. 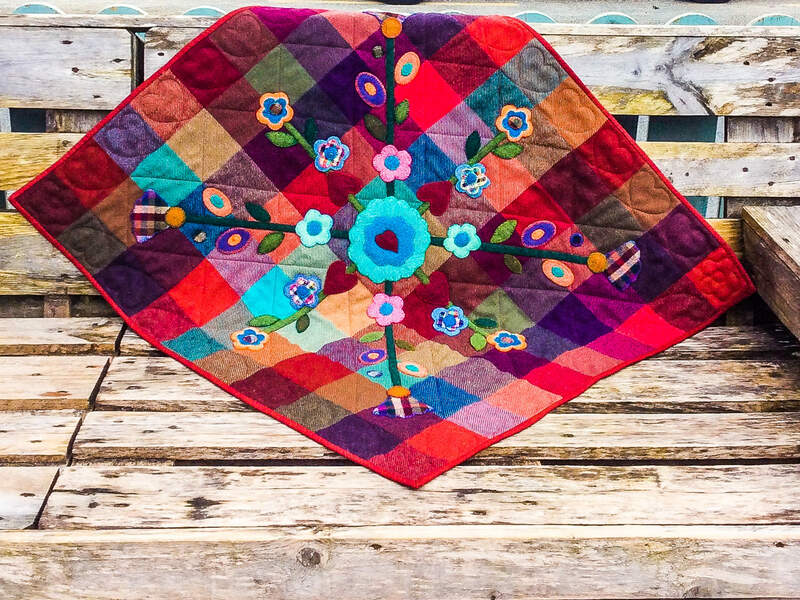 Fabric Affair are launching a new block of the month this year for a beautiful quilt top, by the New Zealand designer Karen Davis called "Whig Roses in Tall Pots". This beautiful design incorporates cottons and wools, in a medallion style quilt with applique. This is a six month project and all the fabric, patterns,templates and thread for the applique are included. The cost is £28.00 per month plus p&p. To secure your place on this Block of the month a £10.00(non-refundable) is required and will be used as part payment for your first months kit. For further information please visit our Block Of The Month page.